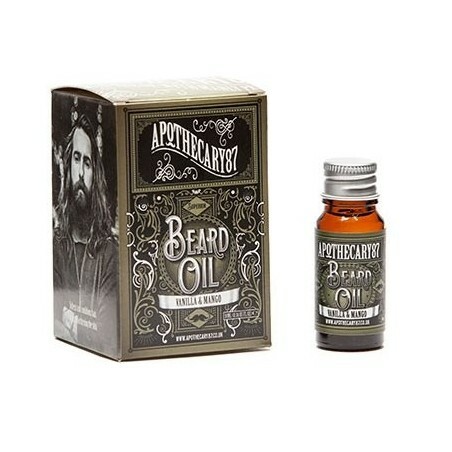 Apothecary87 Milly’s Vanilla & Mango Beard Oil 8.6g Small Size. 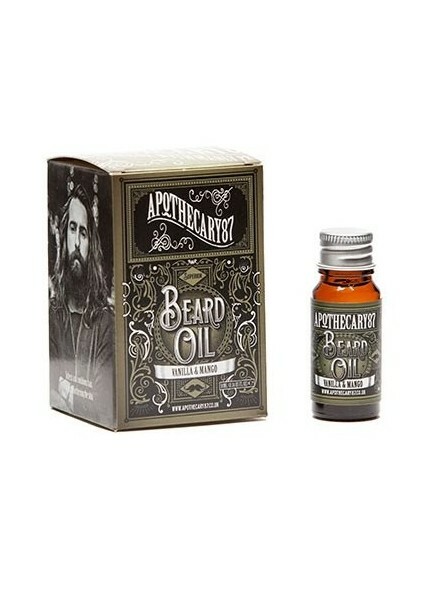 Conditioning oil for the manliest of man beards by Chris John Millington. Manly benefits: All the ingredients are the manliest man ingredients and have been used to help look after your manly skin and hair. In particular helping condition dry hair and skin. Whilst rubbing the oil in, will promote healthy man growth, meaning faster, thicker and stronger growing hair. Directions of manly use: Once you have washed your manly beard, rub it dry with a manly towel (not a pink one). Pour a few small drops of oil into the palm of your hand and rub your hands together. Work the oil through your manly beard by rubbing it into your skin, then run your hands over your beard to coat your beard hair. Using a comb or your hands, you can now move on to your manly styling rituals.